I have just launched a new membership feature at Robotic Investing. 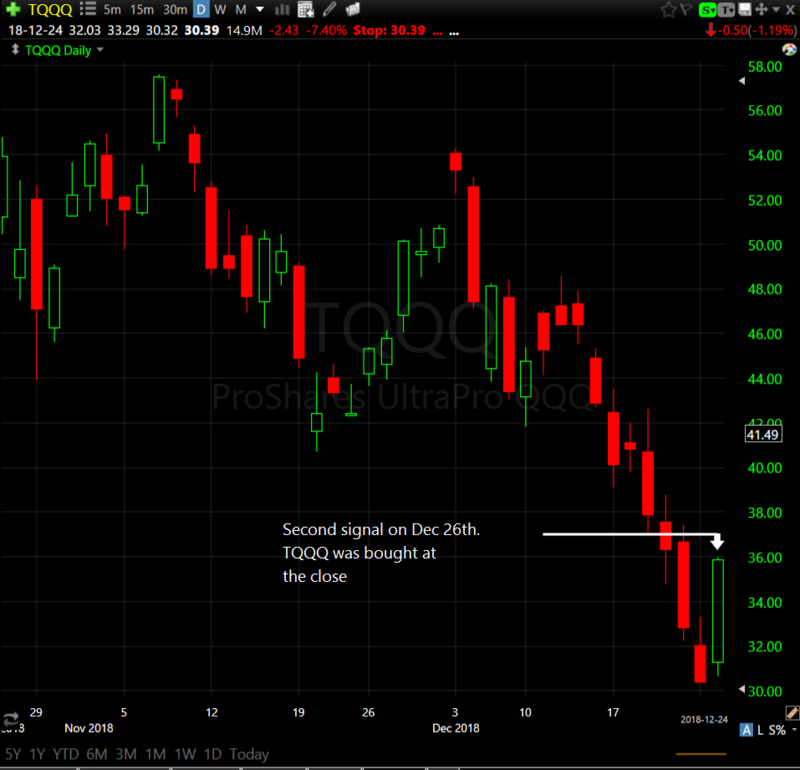 This is a mean reversion trading strategy that uses the TQQQ. Going back to 2010 the gains have been good (See equity chart above), handily beating the S&P 500 while only being in the market a fraction of the time. 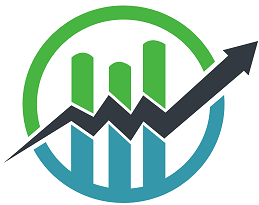 I would like to encourage you to check out more details on the system – which you can set up on your own – to see if it fits into part of your own portfolio and trading strategy. You can learn more about it using this link. The system is currently in cash, which after today’s drop was a good thing. The last trade was a good one – not the best the system has seen – but was positive nonetheless. It was also a volatile trade, but the design of the system worked and traders were able to come out with a good profit. This was a 2-tranche trade. The system signaled an initial entry on December 13th. Then all hell broke loose and TQQQ dropped like a rock. 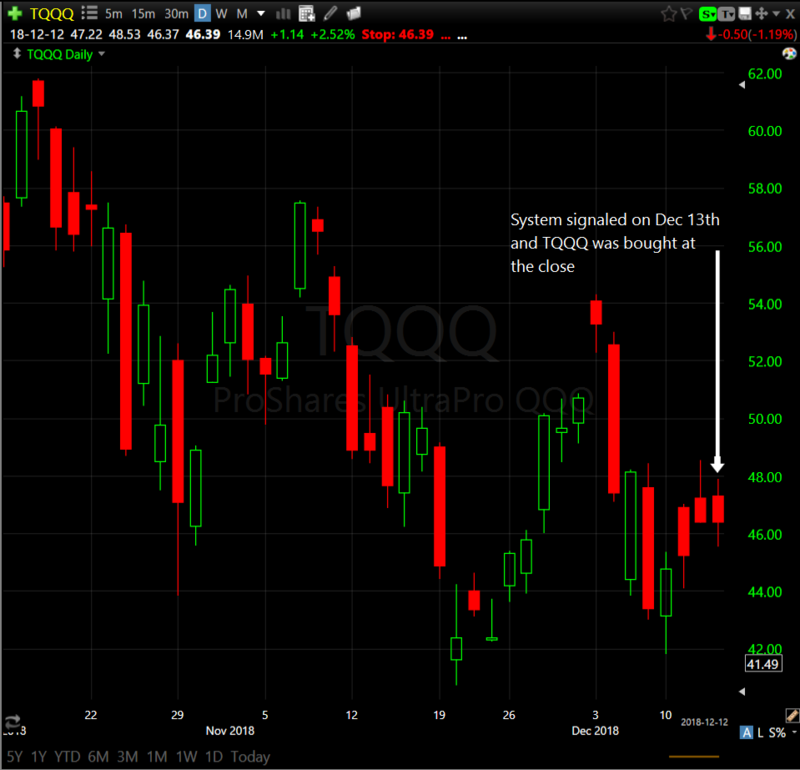 That meant that more shares of TQQQ were added on December 26th (the system trades in 25% chunks). From there it got much better as TQQQ started to mean revert. 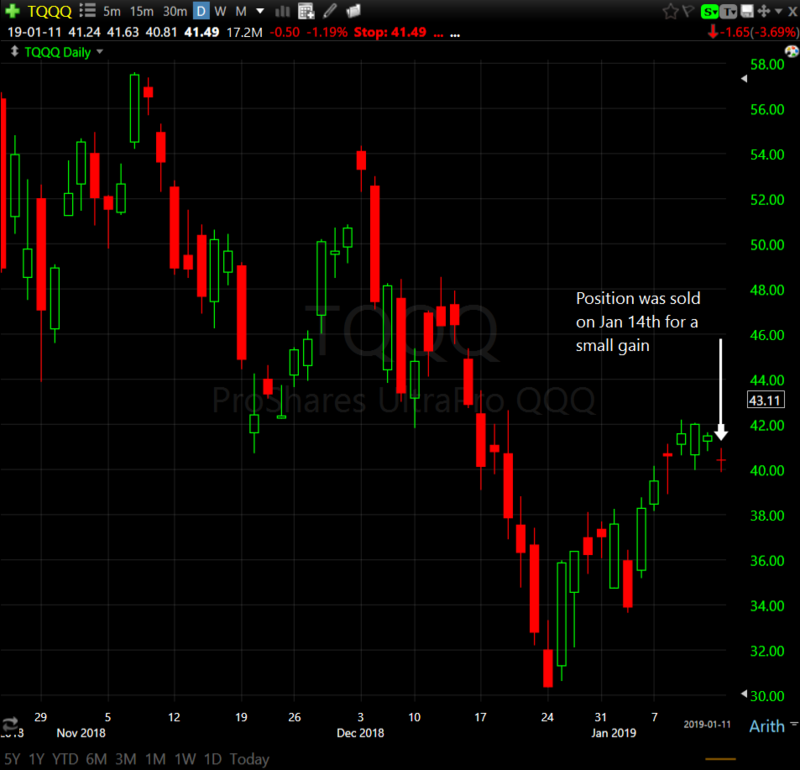 The position was sold on January 14th for a small gain. As you can see, it was volatile, but profitable. 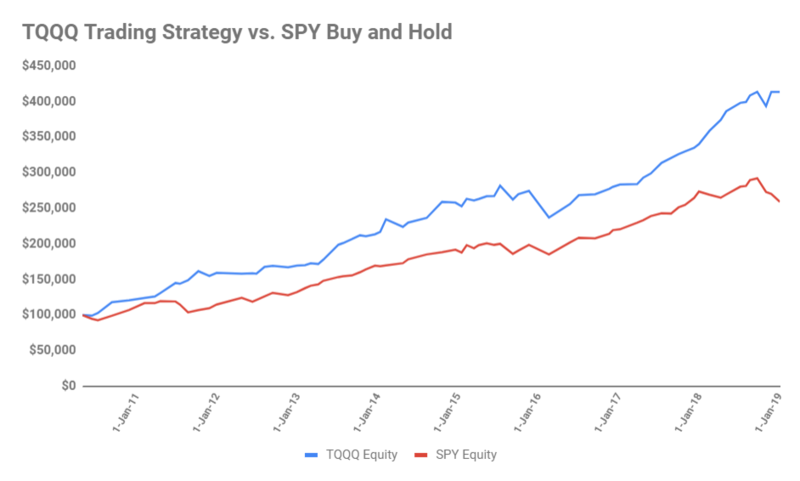 This was more volatility than the system has typically seen in the past year, but the good thing is that the mechanical aspects of the system took advantage of the index’s mean-reversion tendencies and made an amazing gain. That was not one of the biggest gains the system has generated, but because of the system’s rules, what could have been a disaster due to the high volatility in late December ended up being a successful trade. It would have been very easy to bail at the bottom, but I trusted the rules and it worked out well.